Home / Editor's Choice, Entertainment News, Featured Articles, Forum and discussion, Lifestyle, Media News / Comedian FRED OMONDI narrates how they ‘failed’ their late brother who was addicted to hard drugs. Comedian FRED OMONDI narrates how they ‘failed’ their late brother who was addicted to hard drugs. 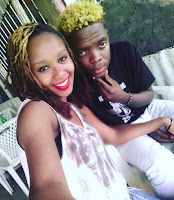 Friday, February 08, 2019 – Mid last year, comedians, Fred Omondi and Eric Omondi, lost their elder brother, James Omondi, after a battle with drug addiction. James died just hours after Eric had traced him to Downtown River Road Nairobi after a three year search. He was addicted to Cocaine and other substances and was in and out of rehab for the past 19 years. Now, Fred feels that they made a mistake when they gave his late brother money to start a new life thinking that he had changed his ways. The family reportedly pooled resources, paid his rent, and gave the late Omondi some money to start a business only to relapse. “There is a time we found him and I brought him to my place, where he stayed for a while,” Fred said. “Then we decided to help him out, to start his own life. I think that is where we were wrong because he convinced us that he was now doing well,” he added. After his death, Eric disclosed that his brother was lured to hard drugs while in high school, by their female cousin, who was dating a white man.